Director James Gunn has already done his part shutting down rumors of Adam Warlock's cocoon appearing in Guardians of the Galaxy - saying that it was just a cool looking item that he picked at random - but what about the rumors of Beta Ray Bill? Fans have been saying for months that the horse-faced alien appears in the museum of The Collector - but now the director is shutting those talks down as well. "@duckisgod: That is totally Beta Ray Bill pic.twitter.com/veb4lNKMBg" THAT’S who you guys’re talking about? That is totally NOT Beta Ray Bill. Because the box only appears on screen for only a couple of frames, fans believed that what they were looking at in this image was a character wearing a long red cape - just like Beta Ray Bill does - but upon further inspection that's not actually what's featured. Instead, the mysterious figure appears to be wearing what looks like a red, sleeveless jumpsuit - which is rather unidentifiable. I think we can call this rumor busted. 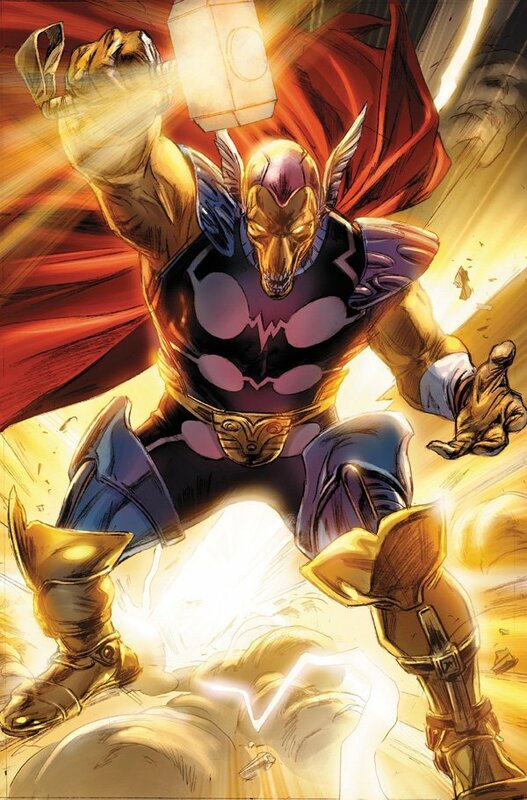 The tale of Beta Ray Bill is a great one and would be very interesting to someday see play out on the big screen - but whether or not that will ever happen is a complete mystery. I kind of doubt it, but perhaps he could wind up squeezing his way into the epic events of Thor: Ragnarok? Certainly one of the biggest challenges in bringing the character to live action is simply his appearance - as he is definitely not the prettiest character Marvel has created. Still, I bet there's an ambitious filmmaker out there worthy of the task, at Marvel should be hunting them down.